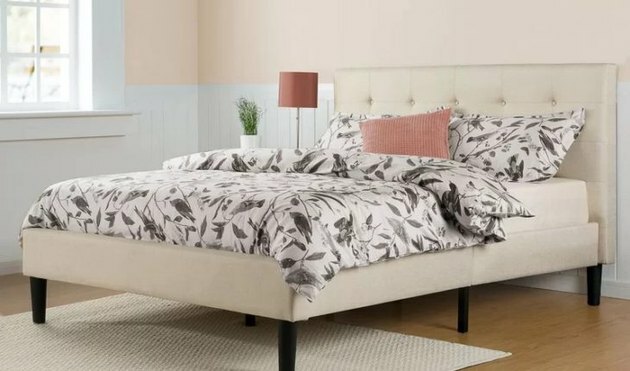 There's something about a bed frame that takes your room from basic to instantly pulled together. 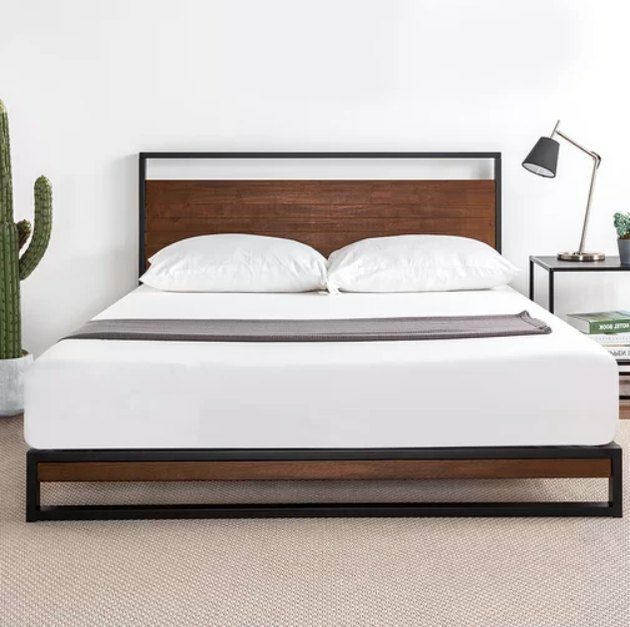 Of course, your mattress is at the core of a good night's sleep, but — from a design aspect — your bed frame can make or break your entire room. 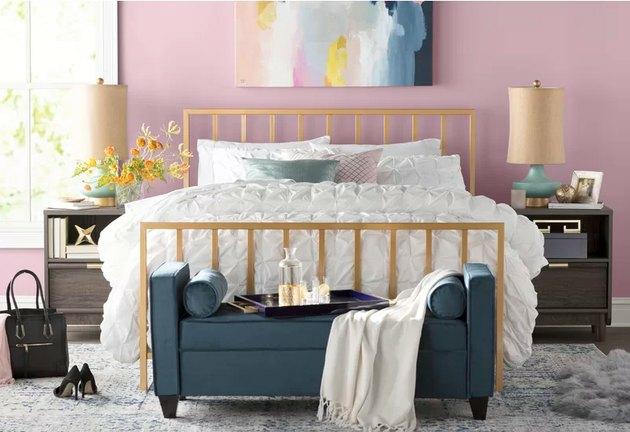 It can make your bedroom feel more cozy, or add a punchy pop of color to reflect your bold style. 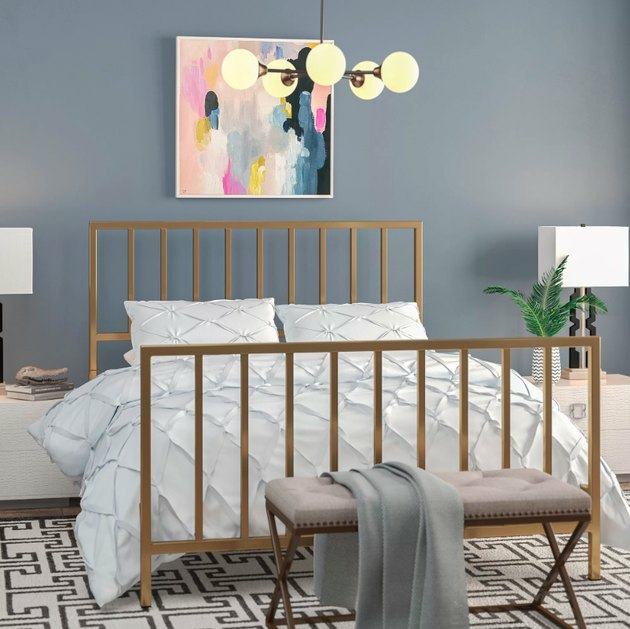 From midcentury modern to plush upholstery, here are 11 bed frames with crazy-high reviews that won't break the bank. 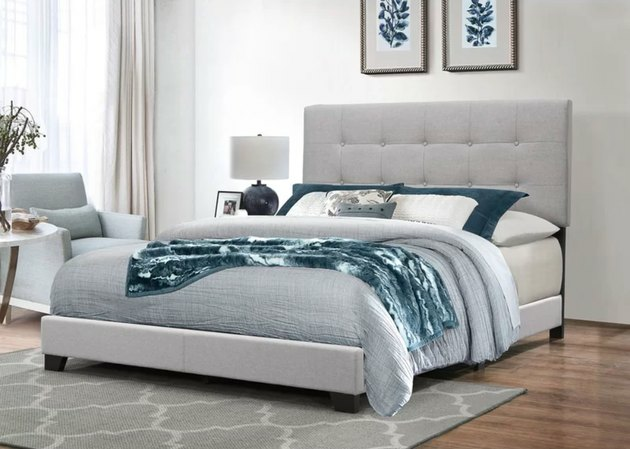 A sleek pine-and-metal combo that will give your bedroom an immediately modern look. The perfectly plush place to cozy up with a good book. 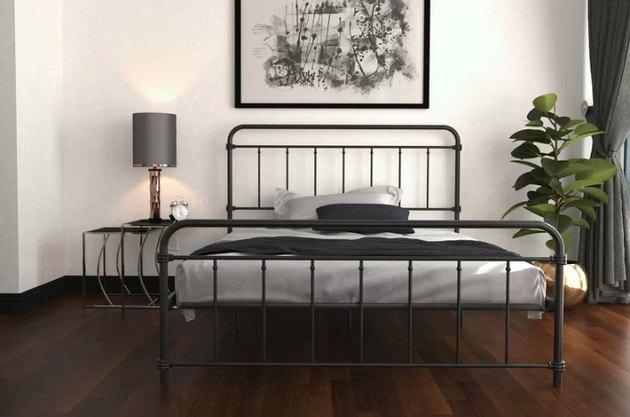 Over 8,000 five-star reviewers agree: this simple metal bed frame holds up to its affordable price. 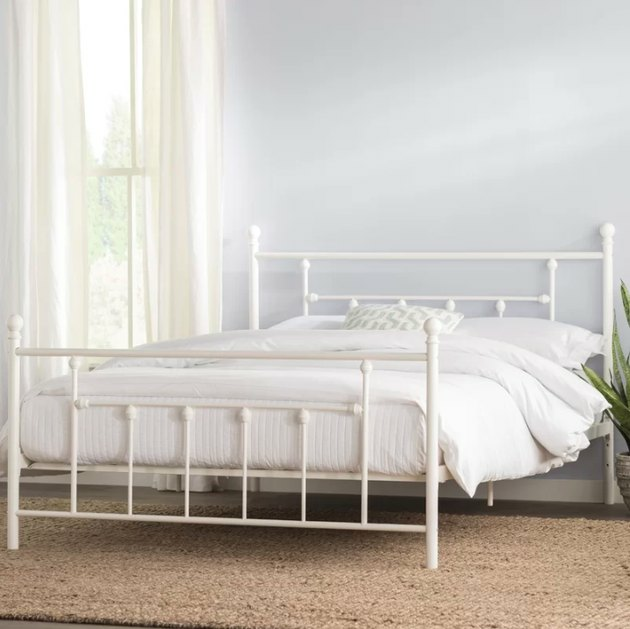 Another huge hit with reviewers (nearly 7,000 of them) call this a simple, but elegant choice. 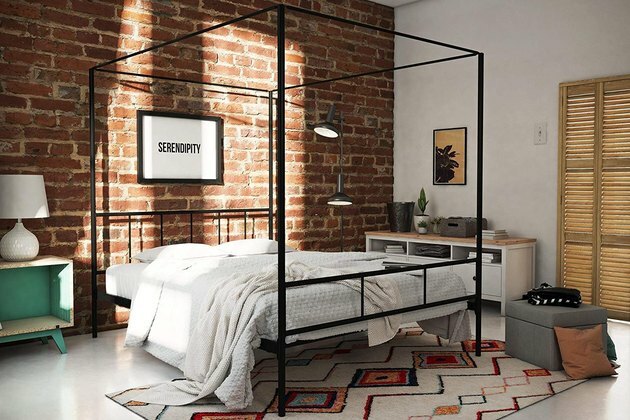 For anyone looking for a little bedroom drama, enter the canopy bed. 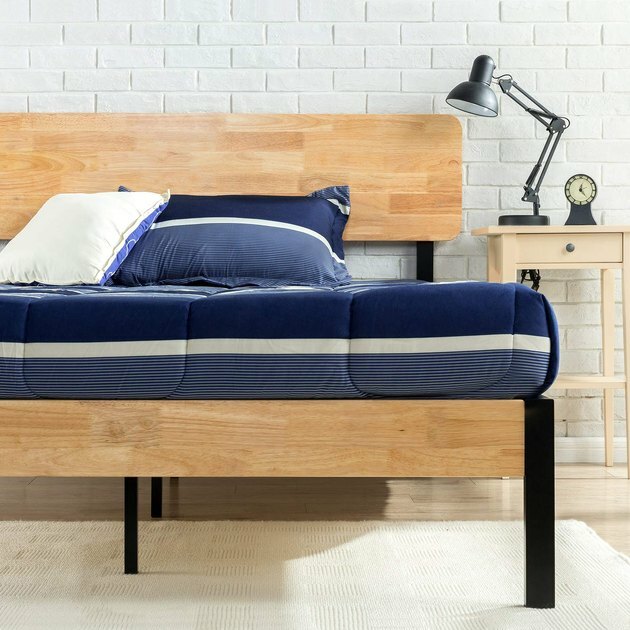 At just over $150, this is a good bed frame to ease you into the world of elevated sleeping. Go ahead, add a pop of unexpected color. 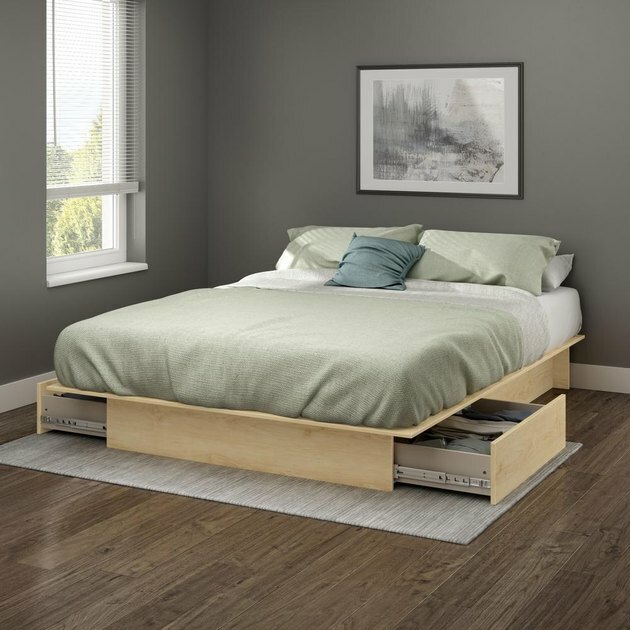 Because we all could use a little bit of extra storage. A touch of gold never hurt anyone.